Your home will be within walking distance from the town swimming pool, bike path, fishing ponds and the Mulvane Sport Complex. The Mulvane Sports Complex has fields various sport fields for all age ranges. It also includes a bike trail, playground and fishing ponds. 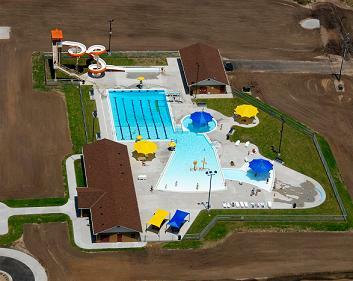 The Mulvane Swimming Pool has both general swimming and activities for both adults and children. The Historic Downtown offers multiple family owned shops, restaurants, community center and museum showing the history of Mulvane. The recently built Mulvane City Library has programs for adults, teens and children. Book clubs, computer classes and story time to name a few. Mulvane has multiple city parks each with their own activities, including disc golf, horse shoes, playgrounds, basketball & volleyball courts and public pavilions. The Mulvane Rec Center offers youth and adult sports, fitness center and senior activities. Within a few minute drive you will have access to multiple big box stores and restaurants, movie theaters and medical services.